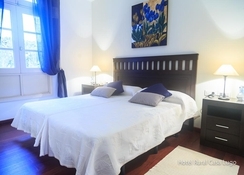 Hotel Rural Casa Lugo is a hotel located in an old manor house that has more than a century of history on its walls, which have remained practically new despite the passage of time. 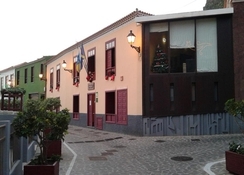 The building is located in the town of Agulo – a small town on the island of La Gomera. Its specific location is in the center of the town, right in the historic center, so that guests will find a luxurious environment to rest. This privileged place allows you to enjoy the architecture of one of the most picturesque and best preserved villages. At the same time, from the hotel it is possible to observe views of the sea and the mountains, so that the urban center mixes with nature. It is a good opportunity to go hiking and get lost in all these places where guests can breathe fresh air. The local tourist spots include City Council of Agulo (240m) and Church of San Marcos Evangelista (250m). Visit the Cemetery of Agulo (800m) lined with cypress trees, the recreation area of ​​San Marcos (1.1km) and more. The La Gomera Airport is about 45km from the hotel. The Hotel Rural Casa Lugo is distributed across two stories communicated internally by the patio and two access stairs. It is made mainly with natural materials. 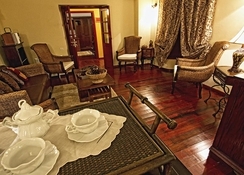 In addition, the decoration is classic and rustic, so that the rooms are warm and cozy. 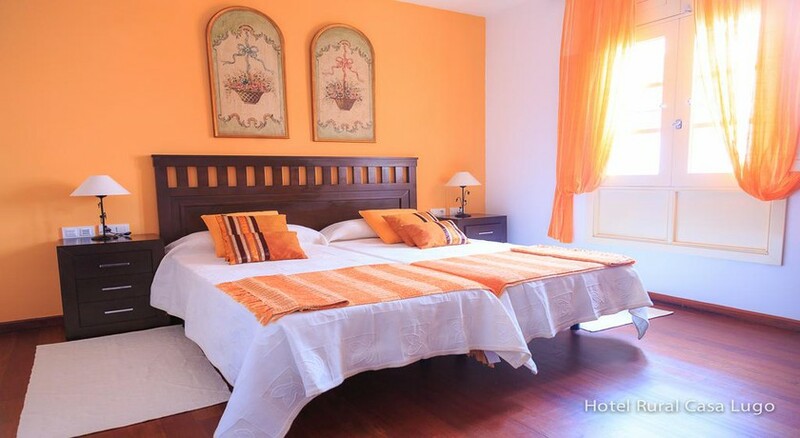 The capacity of the accommodation is for 17 people, distributed in ten rooms of different capacities. Specifically, there are three double rooms, three superior double rooms, three single rooms and a junior suite. 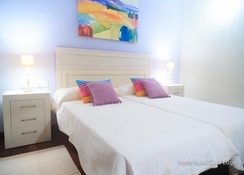 All have their own bathroom and are furnished with double or single beds. 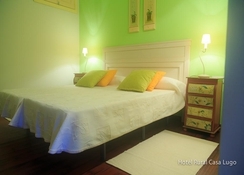 The hotel also has other spaces for common use, designed for relaxation. Among them is a living room with television, stereo, DVD and computer; another living room with library and music system; a restaurant with a large dining area, a bar and a patio with outdoor furniture. 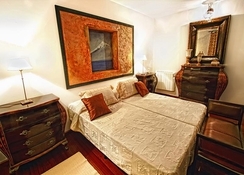 Hotel Rural Casa Lugo offers a continental breakfast buffet which is included in the price for your room. Discover a host of bars and restaurants near Hotel Rural Casa Lugo like Restaurante La Molina, Restaurante La Vieja Escuela, Bar-Restaurante El Mantillo and more. In addition to all the luxury facilities that the hotel has to offer, the surroundings are perfect both to enjoy contact with nature and to visit places of great beauty and cultural interest. It is especially advisable to know the endless beaches that surround the island of La Gomera. In them it is possible to take a dip at any time of the year due to the good temperatures or walking barefoot along the coast and enjoying the sand. Also in the surroundings it is possible to carry out other types of adventure activities, such as hiking or following cycling routes. These options are ideal to get lost in the mountain and its intense landscapes. As cultural places, it is recommended to consider Alto de Garajonay, Silbo Gomero, Agulo, Alajeró, Hermigua, San Sebastián de la Gomera, Vallehermoso or Valle Gran Rey.